Have you heard of International Dog Biscuit Appreciation Day or Hug Your Cat Day? What about National Puppy Day or National Black Cat Day? 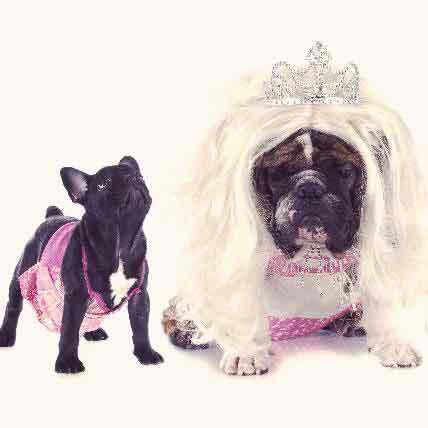 From the silly to the serious, these pet holidays have the whole year covered. 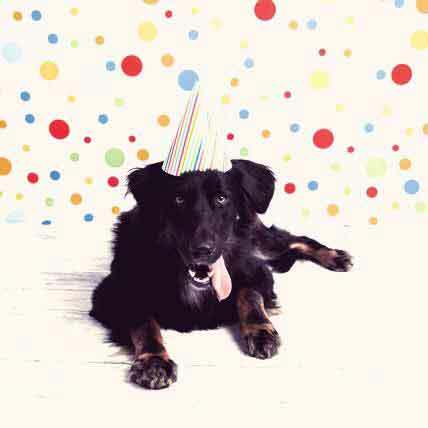 Pet parents love to celebrate their furry family members any way they can. And pet organizations the world over use pet holidays to raise awareness about important issues. Between these two forces, there's hardly a week of the year that isn't spoken for by some pet celebration or another! Take a look at the whole year's worth of cat and dog holidays. National Prevent a Litter Month - Celebrated by North Shore Animal League, The National Humane Education Society, and many more. Responsible Pet Owner's Month - A month to remember to spay and neuter our pets, get vet checkups, and keep our houses pet-safe. Feb 20: Love Your Pet Day - A day to love your pet -- even more than usual! Feb 22: Walking the Dog Day - We've gathered these 5 reasons to take your dog for a walk. Feb 23: International Dog Biscuit Appreciation Day - Give your dog a special treat! 3rd Week in March: Poison Prevention Week - Be sure you know what foods are poisonous to cats and dogs, and which plants are poisonous to pets. March 3: If Pets Had Thumbs Day - What would your pet do? Or maybe they're already crafty enough with their paws! 3rd Week of April: National Pet ID Week - Observed by AVMA, Chicago Now, Examiner, and more. 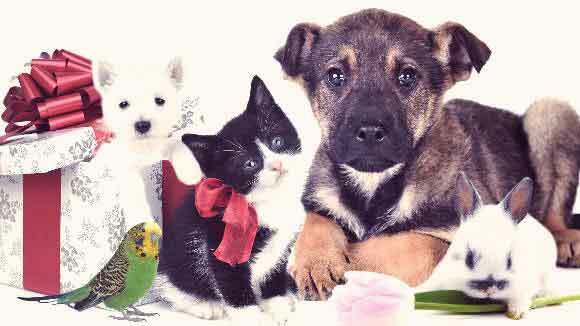 April 11: National Pet Day - A holiday to celebrate and spread awareness about pet adoptions. Last Saturday of April: World Veterinary Day - Started by the World Veterinary Association in 2000. Lyme Disease Awareness Month - Observed by LymeDisease.org and the CDC, we should be mindful of our pets this month too, especially cats and dogs that are often outside in tick-heavy areas. Chip Your Pet Month - Observed by animal clinics and hospitals, often offering discounts on pet microchipping. First Full Week of May: National Pet Week - Hosted by AVMA to "promote responsible pet ownership, celebrate the human-animal bond, and promote public awareness of veterinary medicine." National Pet Preparedness Month - Celebrated by the American Humane Association at the beginning of hurricane season to urge pet parents to make a disaster plan. 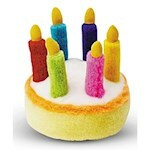 1st Week in June: Pet Appreciation Week - Celebrated by Hartz, Furminator, and more. June 4: Hug Your Cat Day - Just make sure your cat likes hugs! 2nd Sunday in June: World Pet Memorial Day - A day to remember and be thankful for the great times we've had with pets who've crossed the rainbow bridge. Friday After Father's Day: National Dog Party Day - Partnering with Take Your Dog to Work Day, this event extends the celebration into the night! July 31: National Mutt Day - From the Animal Miracle Network, and yes, there's another in December! National Immunization Awareness Month - Hosted by the CDC and the National Public Health Information Coalition. This is a perfect time to get up to date on your shots, as well as making sure your pets are up to date on theirs. 1st Full Week of Aug: International Assistance Dog Week - To honor assistance dogs and educate the public about the work they do. Aug 5: Work Like a Dog Day - A day to honor professional dogs like service dogs, therapy dogs, police dogs, and more. Aug 17: National Black Cat Appreciation Day - Celebrated by National Geographic and plenty of shelters who'll offer adoption discounts on black cats. AKC Responsible Dog Ownership Days - Hosted all over the US during September, with one flagship event hosted by the AKC, these events aim to encourage pet parents to invest in education and training for themselves and their dogs. 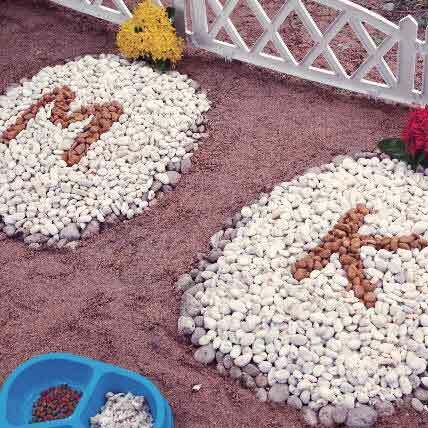 2nd Sunday in Sept: National Pet Memorial Day - A day to remember our friends who have passed on. Animal Safety and Protection Month - A time to remind pet parents to have a pet fire safety plan and a disaster plan. Oct 4: World Pets' Day - Traditionally a day for pets to be brought to churches for blessings. 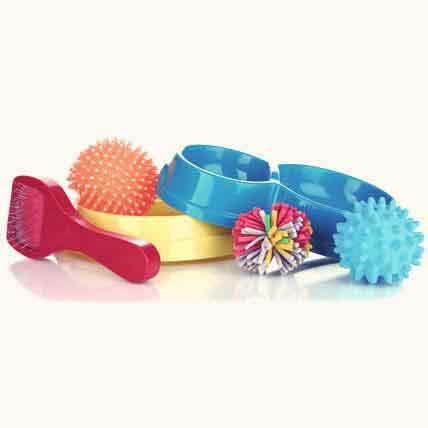 Oct 28: Plush Animal Lovers' Day - A perfect excuse to buy your pet a new chew toy! Nov 17: National Take a Hike Day - Get out in the great outdoors and hike with your dog! Dec 2: National Mutt Day - From the Animal Miracle Network, and yes, there's another in July!